New rules coming in to force under the Falsified Medicines Directive (FMD) could require pharmaceutical manufacturers to change their packaging. According to the directive, two new safety features must be present on all prescription medicines placed on the European market by the February 9th deadline. The first is a unique identifier in the form of a barcode, and the second is an anti-tamper device which is designed to ensure the pack is intact prior to dispensing. The FMD aims to increase the security of the manufacturing and delivery of medicines across Europe and protect patients and prevent falsified medicines from entering the supply chain. According to an article published by Packaging Europe, major Spanish-based pharmaceutical company Cinfa has opted for a hot melt option to comply with the tamper-evident directive. Hot melt adhesives are a great option for packaging – they’re fast and easy to use, and even add to the rigidity of a carton, increasing its stability. The tamper proof seal created by hot melts adds security to packaging and clearly shows evidence of any tampering that may have occurred during transit – making them ideal for reaching FMD compliance. 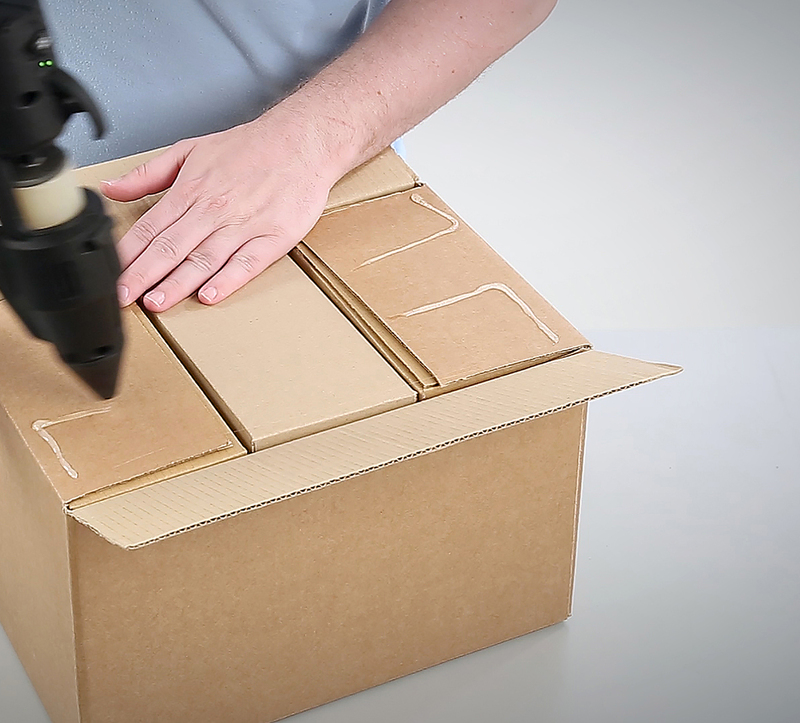 Packer’s glue guns don’t require large melting tanks, and offer different levels of output for different requirements. The adhesives are highly economical with a long shelf life and minimal waste. Gummed paper tape also offers increased security to packaging, as it can’t be removed without leaving signs of damage. Performing well in all temperatures, it still maintains its integrity in even the most extreme temperatures and humid conditions. Glue guns, hot melt adhesives, gummed paper tape and dispensers are all available from www.packer.co.uk.